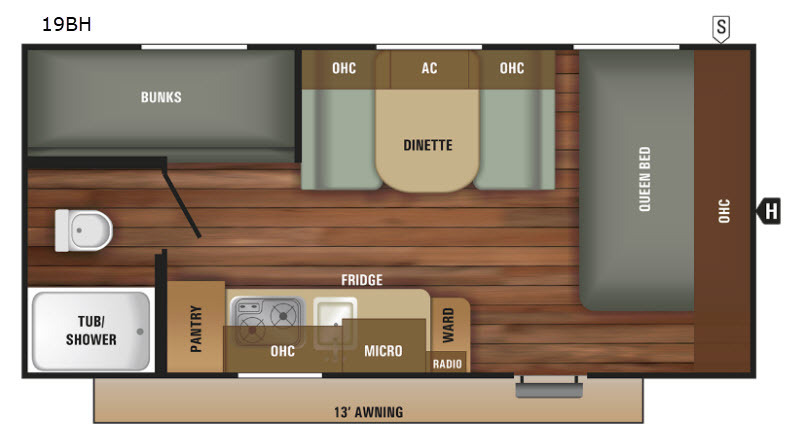 How would you like a travel trailer that can accommodate your family of six? You will want to check out this 19BH Autumn Ridge Outfitter. 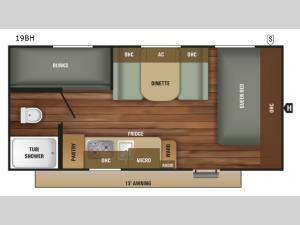 Sleeping space can be found at the front queen bed, the rear bunk beds, and the dinette. The fully functional kitchen features a pantry for your canned goods, a two burner range where you can prepare your meals, and a single sink which makes cleaning up a breeze!